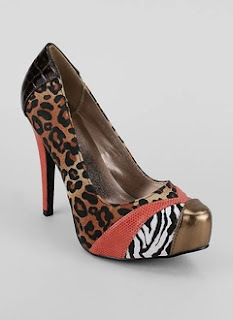 Closed toe platform pump in leopard print styled with patchwork inspired panels in various prints and finishes. 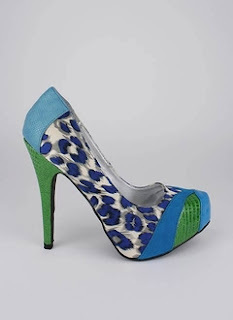 Heel height: 4.75 inches. Women's whole & half sizes. All Man Made Material. Imported.